Professionals who are looking to purchase engineering and architectural tools for their careers have to cover many diverse bases as far as supplies go. If an individual is employed as an architect, he may want to explore his choices in modern drafting tables. Drafting tables are essential items not only for architects but also for engineers and many artists in general. These tables, in short, are even foundations that enable these types of professionals to read and draw blueprints with ease and convenience. They generally have numerous applications. Although draft tables are task-oriented supplies, they can also be attractive and contemporary in appearance. Some of them are classic and rather simplistic, with basic wooden constructions. Others, however, are very contemporary and sleek in style with pleasant glass tops. For user convenience, modern draft tables generally have tops that are adjustable. People can typically purchase them in drafting or desk height depending on their specific requirements and tasks. 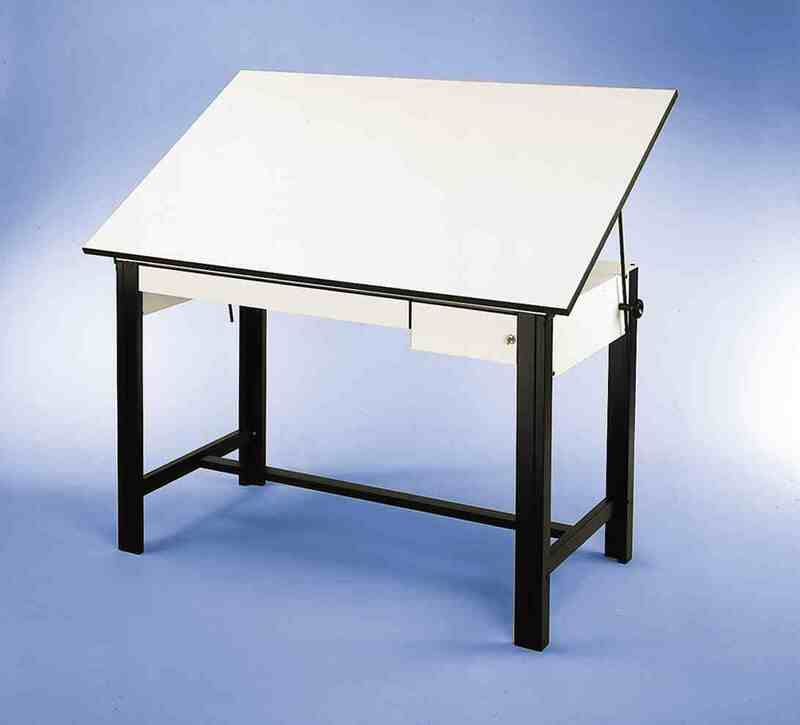 Height adjustable drafting tables are beneficial because they give people the freedom of choice when they're busy working. If an architect prefers to stand up while he's hard at work, then an adjustable height table lets him do that. If he prefers sitting down when he's hard at work, on the other hand, an adjustable height table lets him do that with equal ease and convenience, fortunately. When people select drafting tables for their offices or homes, they can choose between many lovely styles. These tables are commonly made using solid white oak, for example. They also frequently feature lovely oak veneer finishes. Some of them are constructed with glass and have table tops that are made out of safety glass that's a combination of blue and silver. When it comes to drafting tables that are available for sale in the modern day, the options are indeed abundant. Many people who buy drafting tables look for those that enable them to change their board incline angles. If they're able to easily change their board incline angles, they can enjoy drawing positions that are significantly more relaxing, especially when they have to work for lengthy periods of time.